Stealth Releases LPC-625F - Fanless Mini PC ! 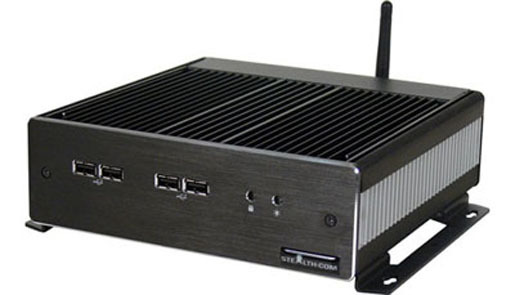 LPC-625F is a new model fanless PC comes from Stealth proudly. This hp-comes-with-three-new-model-mini-pcs/">mini PC can work without noisy cooling fans. This has been made with instead of a rugged extruded aluminum chassis that has the ability to provide superior dissipation of heat. There is an Intel Core 2 Duo Processor has been equipped inside this PC. pentel-airpen-mini-now-works-with-pc-and-mac/">Moreover, it has come out with an Intel graphics media accelerator 4500MHD, up to 4GB RAM and the hard drive up to 500GB. smallest-pc-in-the-world/">In additional it features 7.1 channel audio, full HD video playback (1080p), HDMI port, e-SATA port and a choice of either Linux or Windows Vista operating system. If you are having $1,595 in your divided-display-module-pc-ddm-next-generation-pc/">pocket, you can buy this easily.